There's nothing like sitting down and reading a good book on a rainy Sunday! Well, at least it's raining here in Cincinnati where we are blogging from. 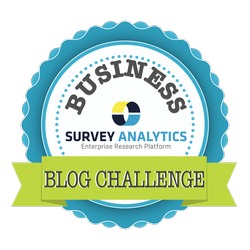 In case you just tuned in, this post is part of the Survey Analytics Business Blog Challenge where we have 30 exciting topics and stories in store to share with our readers throughout this month. Just over a week in, we have come up on Day 8 of the challenge, which is to share 5 books you should read pertaining to the industry your business falls in. Being that we fall somewhere between computer software, market research and technology, our book list is very diverse! Continue reading to see our top 5 recommended books and if you wouldn't mind - let us know some of your industry favorites too. For the Market Researcher, we recommend a novel called Pattern Recognition by William Gibson for your next read. This book follows a 32 year old marketing consultant with psychological powers as she works day in and out to examine both human and corporation's desires to accurately analyze trends and predict the future. The book digs down deep to the real cultural driven reasons we think this way in the first place. The book is a genius clash in the modern world between the arts and corporations. The book was labeled as The New York Times Bestseller and came out in 2003. For the Decision Makers and C-Suite we recommend the reading of a book called Just Listen by Mark Goulston. If you are looking for the true key to understanding how to get through to someone, no matter who they are, it is to open up your ears and listen. This book focuses in on the importance of listening and how listening leads us to break emotional barriers and empathize with each other. The real golden message that lies in this book are revealed as Mark describes the 9 core "people skills," which are all related to listening. The story is told rom both personal experience and scientific research that the author Mark Goulston has found along the way as a business coach, psychiatrist, and coach. For the Tech Lovers and Enthusiasts of the World, The Circle by Dave Eggers is a modern and up to date book that should make your "must read" list if it hasn't already. Technology has opened up a lot of information and made things we used to do easier. But is knowing everything dangerous? Are we setting ourselves up to be completely controlled in every aspect of our lives? Follow along the thrilling story of an ordinary girl named Mae that lands a job at the modern day technology conglomerate organization called "The Circle." For Anyone and Everyone in Marketing, we recommend Youtility: Why Smart Marketing is About Help Not Hype by Jay Baer. The new marketing model for the age of information overload. The tagline for this book is catchy on it's own, and so is everything behind the cover! The difference between helping and selling is just two letters. This book is also listed as The New York Times Bestseller. All examples in the book are backed up with real-life scenarios and facts. No "marketing BS" will be found in this book, and it's definitely a good read for marketers, both old-school and new-school. It's been argued to make you come out a better marketer after reading it too. For Those Who Play Games or Those Curious About Gamification, you should check out yet another New York Times Bestseller by Jane McGonigal called Reality is Broken: Why Games Make Us Better and How They Can Change the World. This book dives into how every generation from now on will be a gaming generation. And more importantly, how games can solve even the most complex issues such as obesity and depression. Games are not for a sole purpose of entertainment, and games are already changing the world for businesses, education institutions and non-profits that incorporate them into their strategy. Did you know there are over 147 million gamers in America alone?